There are lots of ways which we can achieve to lose our weight (weight loss) but they are not effective or the best or safe way to lose weight. 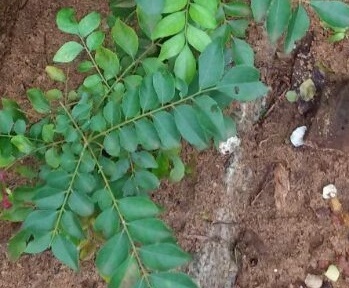 Curry leaves are the mostly used in cooking especially in southern part of India. Mostly in all dishes curry leaves are used since it add flavor and also for its wondrous curative properties. Curry leaves also do a lots of amazing benefits to our hair also. Does eating curry leaves helps for weight loss? Read the best benefits of eating curry leaves for weight loss. Curry leaves cures indigestion problems very effectively. You should Chew few curry leaves it is one of the best home remedy which will help to treat or cure diarrhea and nausea sensation. It is because of its mild herbal flavor which is naturally present in the curry leaves that soothes the intestinal walls and helps us for a easy digestion. Mainly People who are pregnant and are suffering from morning sickness that is vomiting sensation can take curry leaves in some forms to get relieve from it. Eating curry leaves for weight loss is the best and excellent way to promotes a healthy body and also helps us to lose weight easier quicker and faster. Curry leaves helps us to naturally clean our body and remove or flushes out the bad toxic substances. Eating curry leaves for weight loss helps to reduce abnormal body weight. Body has to be cleansed well routinely to get away from many health risks. In the form of juice, soup or tea twice a week will effectively help us to lose weight by consuming or eating curry leaves for weight loss. Curry leaves remove the bad cholesterol present in the body. Eating curry leaves for weight loss it is a natural and powerful way in burning excessive body fats. By consuming curry leaves will keep our body fit by burning unnecessary fats and cholesterols. When you eat curry leaves in the form of cooking dishes it will not make any difference in losing weight. Chewing or eating curry leaves in a right form and doing it regularly will helps to lose weight and give you the best and good result. Everyday when you use it as medicinal properties enriched curry leaves with proper exercises and healthy food will promote you to lose your weight fast and give you fit and a healthy body. You should stop the habit of picking curry leaves from foods and keeping it aside on your plate. Eating curry leaves for weight loss is a best and easy way to lose weight naturally. You must consume or intake curry leaves which will help your to get healthy and a fit body. This curry leaves will remove toxins from the body and keep your body fit and healthy. Best Health Care Tip- You should use curry leaves powder and make curry leaves tea, soup, rice etc. You must enjoy them thrice a week that is the best and a fast way for a weight loss and maintaining a healthy and a strong body.